At a special price, try three One Size Diapers to see which is best for you! 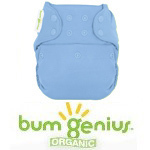 bumGenius Freetime, our best-selling one size diaper! 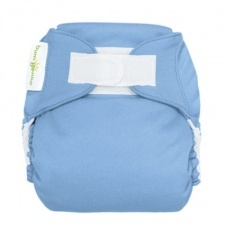 Select one of our two Organic One Size Diapers - either the bumGenius One Size Organic All In One (AIO) Diapers or the Swaddlebees EcoNappi One Size Pocket Diaper. You choose whether you want snap closures, aplix (like Velcro) or a mix. ***Please note: organic option only available in snaps. You also choose whether you would like boy colors, girl colors or gender neutral colors. Note: Little For Now Sampler Packages may only be shipped to United States addresses (including territories and military addresses). For Little For Now Sampler Package color selection and return policies, please refer to the Sampler Package Policies section of our Store Policies page.